We have radical challenges like climate change and inequality but not many radical political leaders. What does it take to find and elect leaders like Alexandria Ocasio Cortez who is trail blazing a new political agenda in the United States? 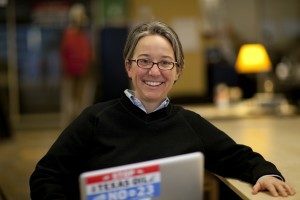 Becky Bond was one of the Field Directors for the Bernie Sanders campaign and she shares her experience of combining radical agendas and political parties. Listen below by clicking play, or listen via an app on Apple, PodcastOne or Stitcher – or on most other podcast apps by searching “ChangeMakers.” Or use our RSS feed.